What Do CEOs want from HR? Managers and their subordinates sometimes lack the problem-solving skills necessary to move things forward within their organizations. Luckily, OD process consulting focused towards problem solving training can be an effective antidote to this, as it helps in building critical skills to handle a possible deadlock. Problem solving training is an intervention tool that helps managers and employees develop critical thinking skills to sharpen their logic, reasoning, and problem-defining capability. Problem solving training also helps develop abilities to evaluate causation, analyze alternatives, and select and execute solutions. This training is an integral part of organizational efforts to introducing quality management programs as it helps define a process to manage problems. In this article, we will introduce the six-step problem solving process defined by Edgar Schein, so that teams trained in this can find the best solution to a problem and create an action plan. Why Use a Problem Solving Process? Since problems can be many and root causes hidden, it may take an extended period of time to come to a solution. Developing a team to help search for answers and formulating a decision is advantageous to improving organizational quality and efficiency. OD expert, Edgar Schein along with other OD experts suggested that a process that helps in problem-solving, steers groups to successful outcomes. Schein’s approach is presented in a model that investigates problem definition, brainstorming, group decision-making, idea development, action planning, and assessment. As an OD consultant, you can use this process to improve communication, strengthen group cohesion, and make effective decisions. Problem Definition. Identify problems through problem formulationand questioning. The key is asking the right questions to discover root causes. Brainstorming. During this process, assumptions are uncovered and underlying problems are further revealed. Also, this is an opportunity to collect and analyze data. Selection. Decisions are made within the group to determine the appropriate solutionand process through creative selection. Development. Once the group has formed solutions and alternatives to the problem(s), they need to explore the pros and cons of each option through forecasting consequences. Action Planning. Develop an action planto implement and execute the solution process. Assessment. This final stage requires an evaluation of the outcomes and resultsof the solution process. Ask questions such as: Did the option answer the questions we were working on? Did this process address the findings that came out of the assumptions? This process makes group problem solving in projects and meetings agreeable, action-oriented, and productive. Without a process, it can become challenging for teams or groups to create the best solutions and establish a plan of action. Do tell us about the problem solving methods you use within your organization. We would love to hear from you. Reference:Schein, E.H. (2010). Organizational culture and leadership, (Vol 2). John Wiley & Sons. About the Author: Valamere S. Mikler is the founder and principal consultant of V.S.M. Professional Services and Consulting, a consulting firm providing organizational efficiency and administrative office management services. She can be reached at valamere@vsmconsulting.net. The Institute of Organization Development offers certification in OD Process Consulting. 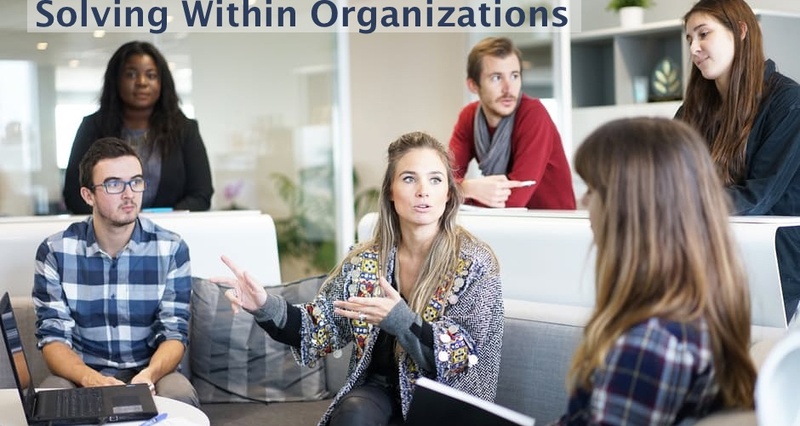 You can become certified as an OD Process Consultant and play an important role as a partner to make the organization more effective and help to align organizational changes with the strategy, culture, structure, systems, skills, and people. To learn more or register, please check out our website: www. instituteod.com or email us at info@instituteod.com.